When you’re new to the server it can seem difficult to join, host, or play matches against other people — don’t give up! These problems are common and very easy to solve. 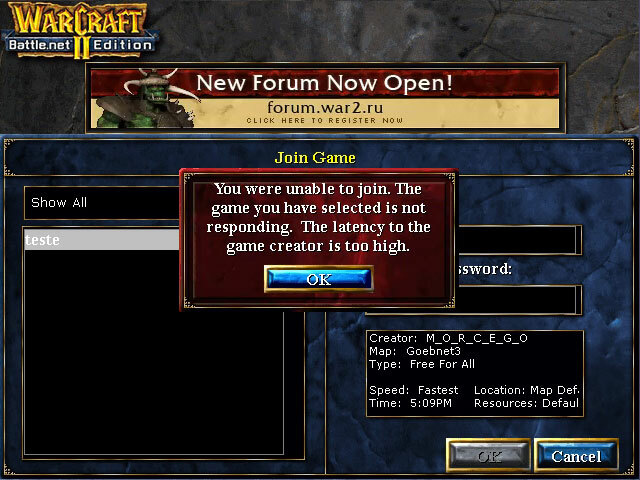 This usually means people can’t join your games because of “high latency”. If that’s the case you will probably see this message in the game lobby, or receive whispers/private messages from other users saying “lat” or “latency”. The solution is to follow this guide for port forwarding your router. If you try to join someone’s game but receive the message “The latency to the game creator is too high” that means the game host probably needs to forward their ports (see above). If you can’t join their game but other people can then you probably conflict with them — read more here. 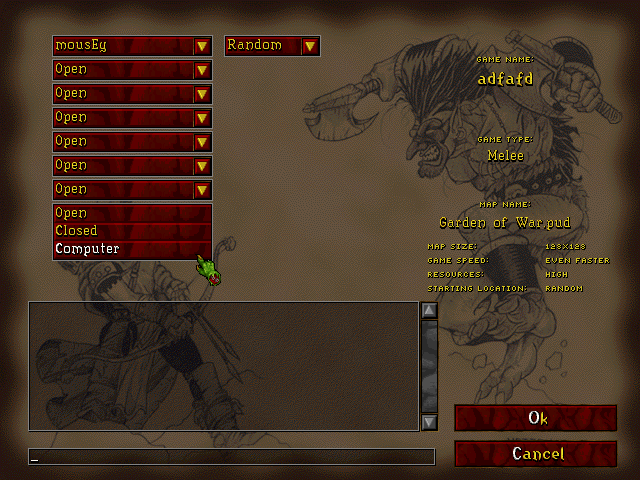 Multiplayer Warcraft 2 (like many online games) can be very competive. Many people on the server have 10+ years of experience and play at a very high level, so letting a brand new player into 2v2 or 3v3 match can fatally unbalance the teams. 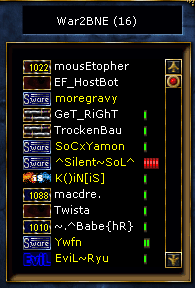 To avoid this many players will only play with people they know and/or will ban new players on sight. Generally it isn’t anything personal against you, it’s just to ensure they get a fair and challenging game. Many veteran players are willing to let new players “watch” as long as they don’t interfere with the game. “Watching” is exactly what it sounds like — at the beginning of the game you ally everyone and everyone allies & shares vision with you, and you sit quietly and don’t build for the rest of the match while watching everyone else play. This is a great way to immerse in high level gameplay & gain valuable insight into the common strategies and techniques like build order, resource management, and offensive/defensive tactics. For more info about watching check out our Watching Recommendations. Another option which allows you to actually play is to look for other players who are also new. You can double click any username in the right-hand column of the lobby to view their profile and check their stats — look for people with lots of losses and very few wins. You can alternatively type “/stats username” (without quotes) anywhere on the server to view someone’s stats. You can also make a post in the Noob Recruitment thread on the forum, a place where new players can get in touch and arrange casual low level matches amongst themselves. 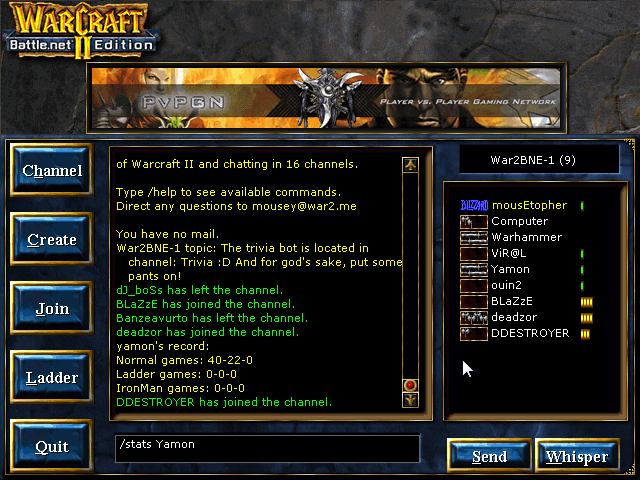 There are usually 15-20 people idling in the main channel (War2BNE) at any given time, meaning they’re logged on to the server but have WC2 minimized or are away from their computer. A good rule of thumb is to check the status page to see how many people are online — generally if it’s fewer than 50-60 total players you won’t see much activity in the lobby. This is probably the biggest problem new players face. Since we’re a small community it’s not always possible to find enough people for a team match 24/7, but there are a few tips for working around this. Weekends and evenings are almost always busier and the best time to play. War2.ru has players from all over the world so peak times vary based on time zones, but a large percentage of our users are in the USA. Invite your friends to join you. The more people you bring the fewer people need to join your matches to fill the teams. Posting on our forum and Facebook group are also great ways to find other new players and arrange times to meet on the server. Matches created by the HostBot are hosted & autostart every five minutes. Any number of players can join and play vs four computers. 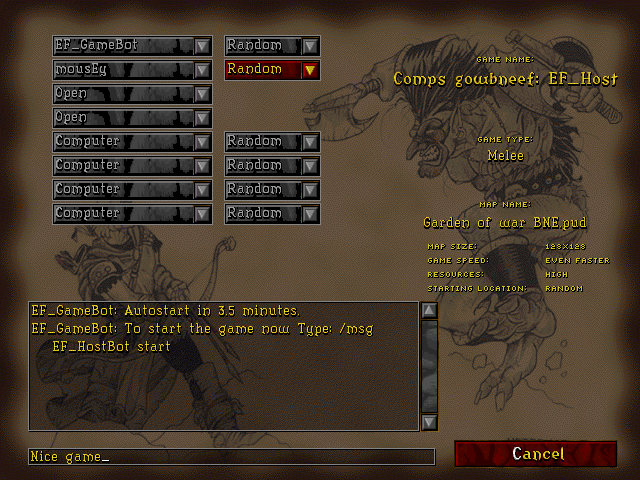 You can also instruct the HostBot to create custom matches for you and your friends. 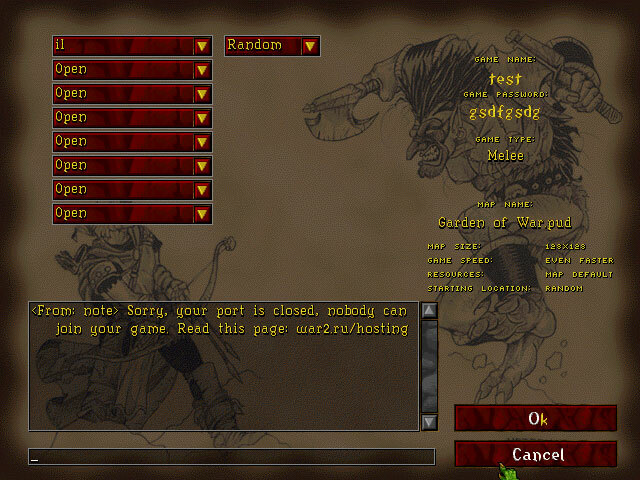 Use the Game Monitor webapp to notify you of new games while you alt+tab out of WC2 and do other things. When a new game is hosted the monitor will will notify you immediately with a sound so you can return and join, without having to sit around in the lobby waiting for games to be hosted. I want to play local, just the single player campaing. But, when I choose the single player option, a message “no campaing in combat” and nothing more. 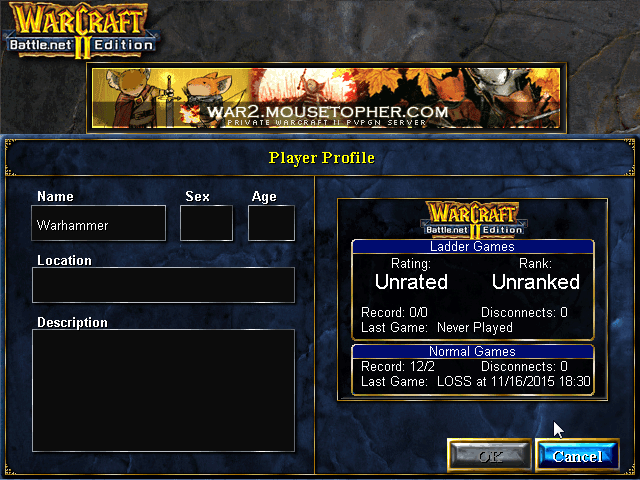 Please, what I have to do to play the classic campaing in warcraft II local. Just single player. 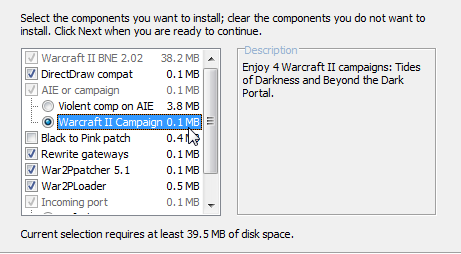 Hi Gustavo, just rerun the installer and select the option for the campaign. Thank you very much. Now I´ll be happy again. I just play with my 9 year old and 10 year old sons for fun. Can I create customer maps and play with them here? Yes, you can download the map editor utility from the downloads page (download, extract, double click, and it will auto install into Program Files) to edit & create maps. Make sure to save the maps in c:\war2combat\maps and then you can use them when you play.